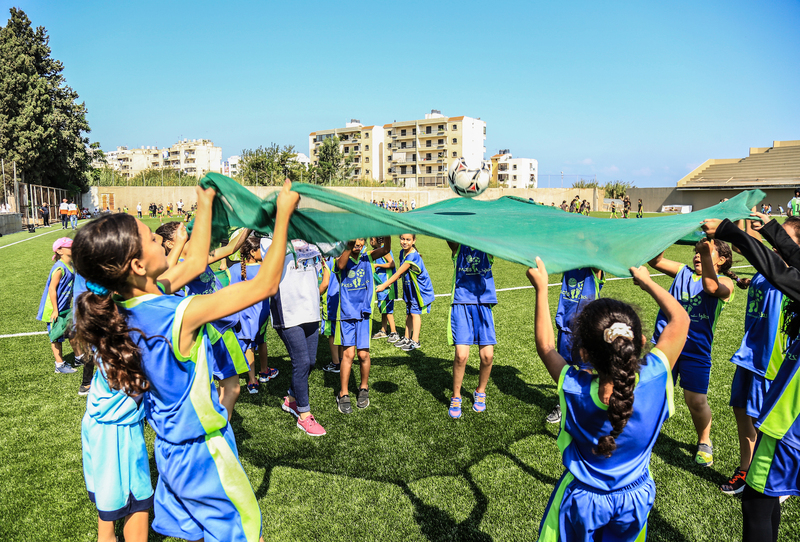 PACES organizes a series of activities comprised of sports training sessions, awareness sessions, fun activities and community work for all beneficiaries throughout the program cycle. Two 2-hour coaches training sessions every week from March through November of every year. PACES offers football, basketball or volleyball training, through which life-skills are integrated. Mini-tournaments are organized throughout the cycle for each sport, in coordination with the local participating clubs. PACES also participates in international sports tournaments in different countries, to give the children a chance to experience different cultures, meet peers and make new friends, and apply what they have learned over the years through PACES on and off the fields. Games and fun activities for the children and their families as a reward for their commitment and dedication. Community service activities for the children based on the needs within their community. Capacity building programs offered to coaches and assistants include technical skills and life skills to ensure proper interaction a knowledge sharing with children. Capacity building training for local partners’ coordinators focuses on soft skills and general knowledge in addition to advanced sessions covering project management, financial management and fundraising.